The optoNCDT 1320 is a new laser triangulation sensor with compact size for displacement, distance and position measurements. Due to its extremely compact size including integrated controller, the sensor can also be integrated into restricted installation space. Due to its low weight, the optoNCDT 1320 is ideally suitable for applications where high accelerations occur e.g. on the robot arm or in pick-and-place machines. 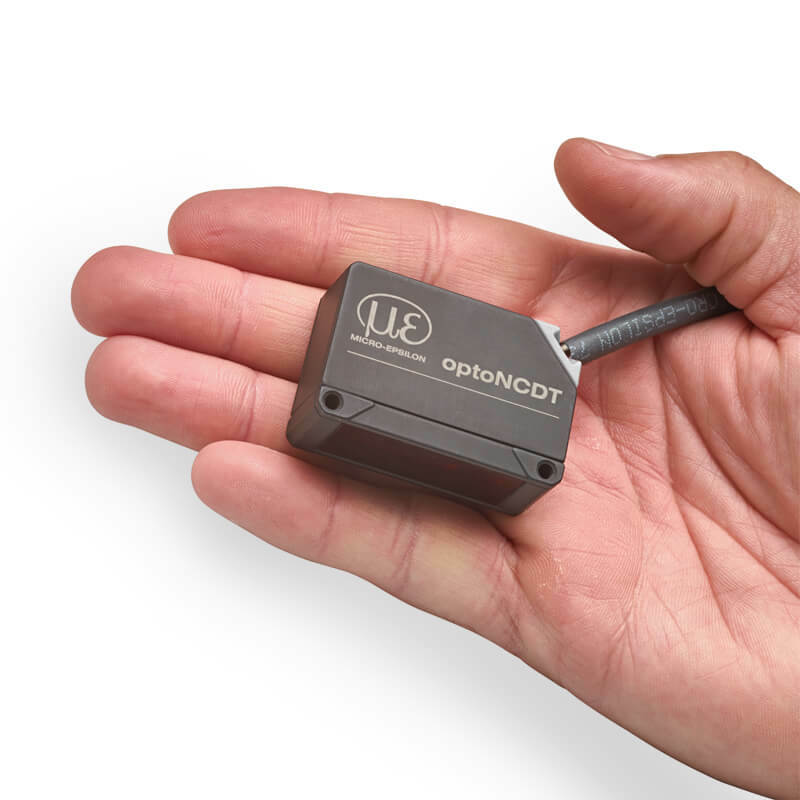 The optoNCDT 1320 offers high accuracy and adjustable measuring rates up to 2kHz. The Auto Target Compensation (ATC) provides stable distance signal control regardless of target color or brightness. Very small objects can be detected reliably due to the small measurement spot size. The optoNCDT 1320 models enable quick sensor commissioning with just a few clicks using the multifunction sensor button. An intuitive web interface enables the user to carry out extended sensor settings. The most common surface types can be selected using presets. The quality slider enables the sensor to be adapted to static and dynamic processes. The combination of speed, size, performance and application variety defines a new class of laser sensors. The worldwide unique SMART sensor concept combines an integrated web interface with a compact sensor size. The excellent price/performance ratio enables new areas of use, especially for high volume applications in machine integration and factory automation.